As per CPIA scores, the legal systems of South Sudan, the Central African Republic, and Afghanistan fail to protect their citizens' personal property. In today’s world, scholars participate in conversations and debates surrounding varied topics concerning the existence of developed and underdeveloped countries and the reasons why these economic differences occur. Some researchers point to history, politics, and women’s equality, while still others call attention to structural violence and public policy. Certain topics, one could argue, have become almost household terminology, and it is easy to list them off as a means of explaining away the stark differences among standards of living. However, one issue, often overlooked and yet arguably one of the most important to consider, is that of property rights. Property rights, when well-defined and upheld by the government, allow private individuals to dictate how to utilize their resources. Having stock in these decisions leads property owners to carefully consider the cost-benefit analyses of land use. Economists claim that this process then produces efficient outcomes, otherwise known as higher living standards. This article will look at countries with some of the least effective property rights protections. The CPIA or the Country Policy and Institutional Assessment estimates how countries’ quality of policies and institutions supports economic development. The CPIA provides a 1 to 6 rating system that assesses the extent to which countries effectively respect property and contract rights. Three analysis of three factors determine the ratings: the existence of a property and contract rights legal framework, quality of the country’s legal and judicial system, and crime and violence as they affect citizen safety and economic activity. On this rating scale, a 1 represents the worst property and contract rights, meaning that rights are barely recognized on neither a formal nor informal basis, and a rating of 6 represents the best, meaning that rights are transparent, well-protected and continuing to improve. On a list of twelve countries with the worst property rights regulations, the countries with the lowest ratings (a 1.5) are South Sudan, Central African Republic, and Afghanistan. The remaining nine nations were all given a 2 point rating. These are Haiti, East Timor, Zimbabwe, Sudan, Papua New Guinea, Guinea, Yemen, Guinea-Bissau, and the DR Congo. A 2 on the rating scale means that the government has not provided a framework for defining property rights clearly and that the citizens depend on informal systems which are manipulated by government officials without warning. Given the importance of property rights to economic growth, it comes as no surprise that the countries with the least stable regulations are found throughout the developing world. Clear-cut property rights regulation has a direct correlation with gross domestic product (GDP) per capita. Countries with the best property protections enjoy a GDP that is twice as high as those countries on the lower end of the rating scale. Not only are property rights and development linked, but the absence of regulation strips private individuals and families of both their right to use the land as they determine most beneficial and their right to trade or sell the property voluntarily. The evidence is clear. 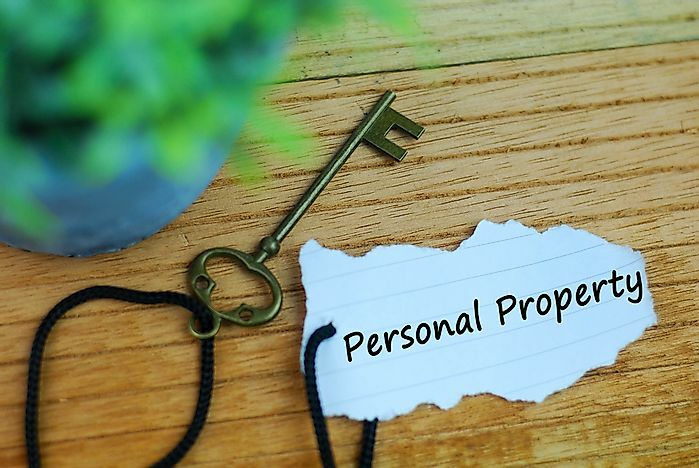 Property protection, the pursuit of self-interest (when it does not infringe upon the rights of others), and increased trade opportunities provide countries with the best chance for economic development.